The refined and formal event lives in Lapis Luxury. 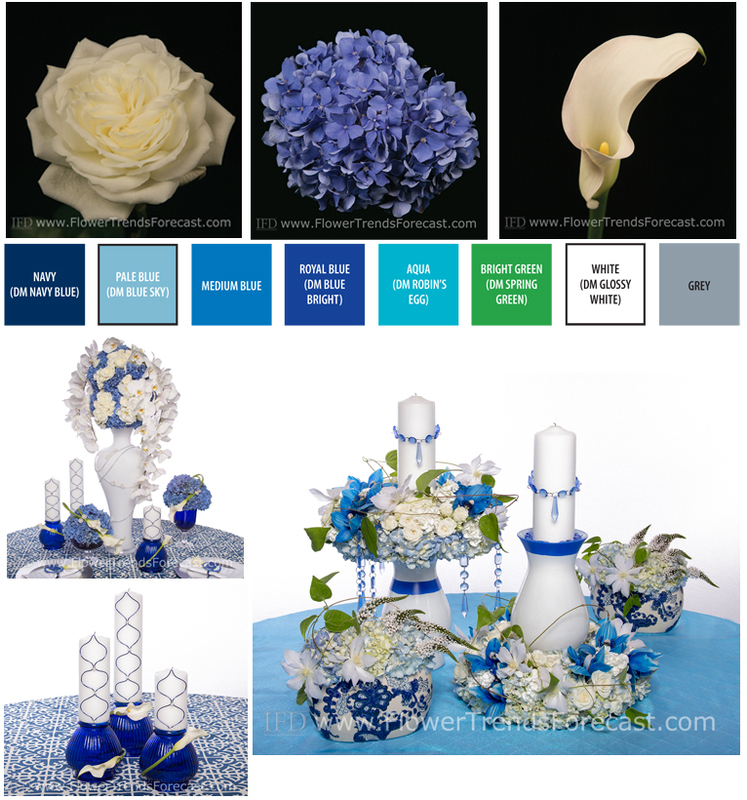 A palette inspired by the waters of the world, the Lapis event is formal sophistication powered by blues and whites. 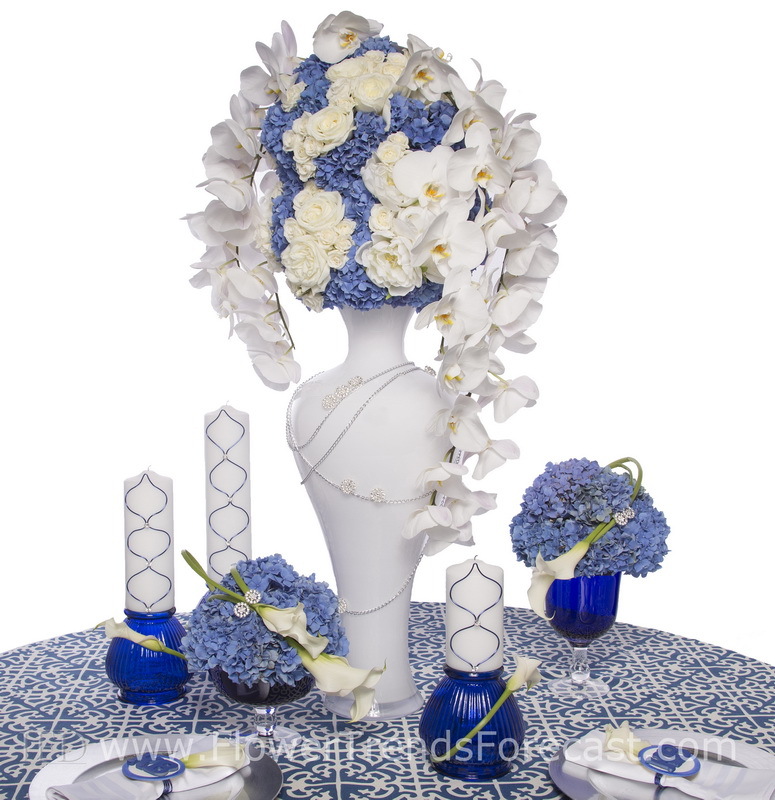 White calla lilies roses and peonies combined with the blue flowers of either hydrangea or delphinium. Lapis Luxury is refined, formal and crisp. 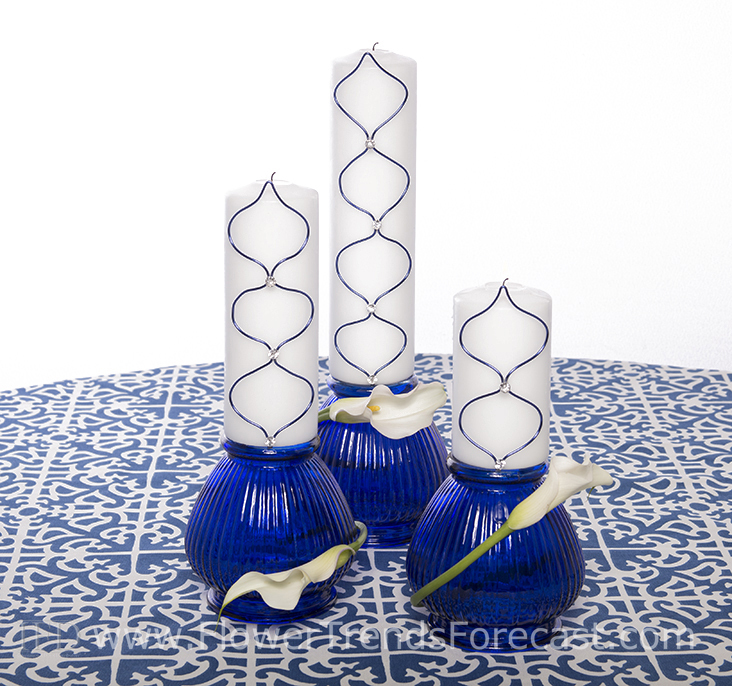 Inspired by the blues of the Mediterranean Sea and chinoiserie east-Asian design interpretations, this formal and sophisticated décor style is elegant and textural. 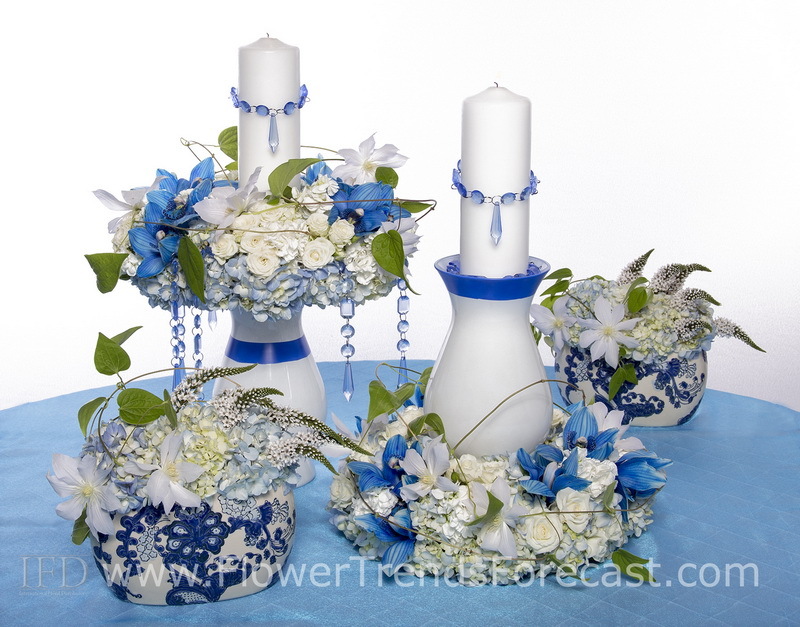 And although much wedding décor has moved to a more natural look this design style shows many contrasting techniques for moving the simple garden theme to something bold, urban and cutting edge. 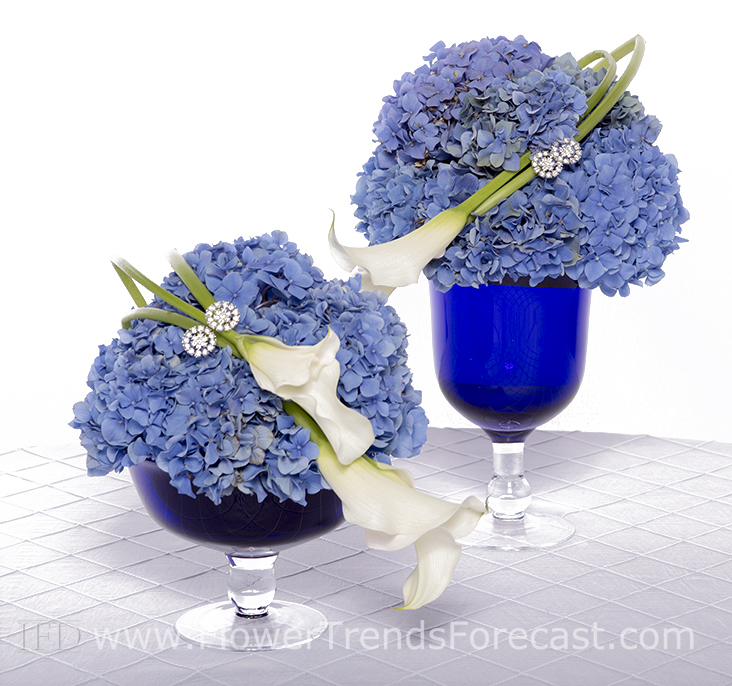 Lapis Luxury is an event in blues and white; refined, formal and crisp. Contrast is a key element to many design techniques, contrasting colors, contrasting textures and contrasting forms build impact and draw us in. 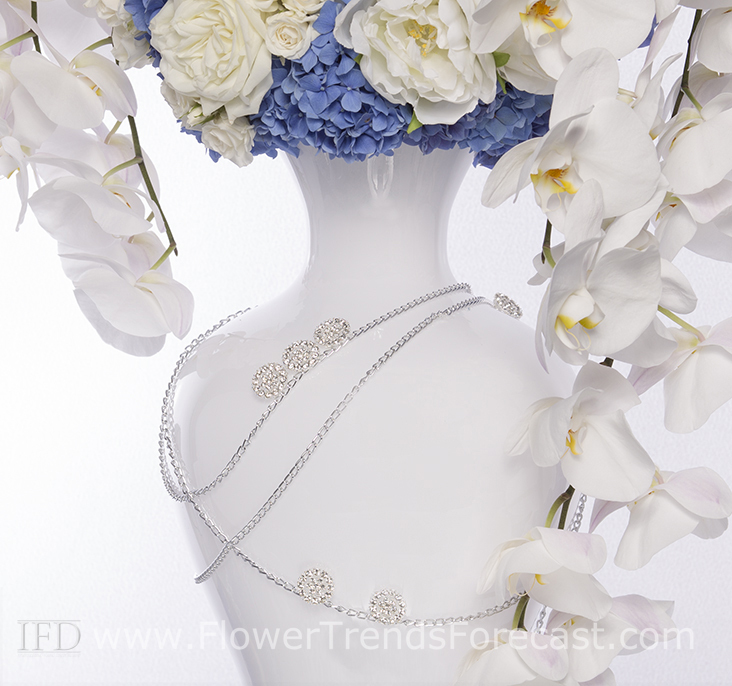 This trend include many products from the Pete Garcia Company.